It was the second day of my Techstars career when a visiting staffer posed that question to me. 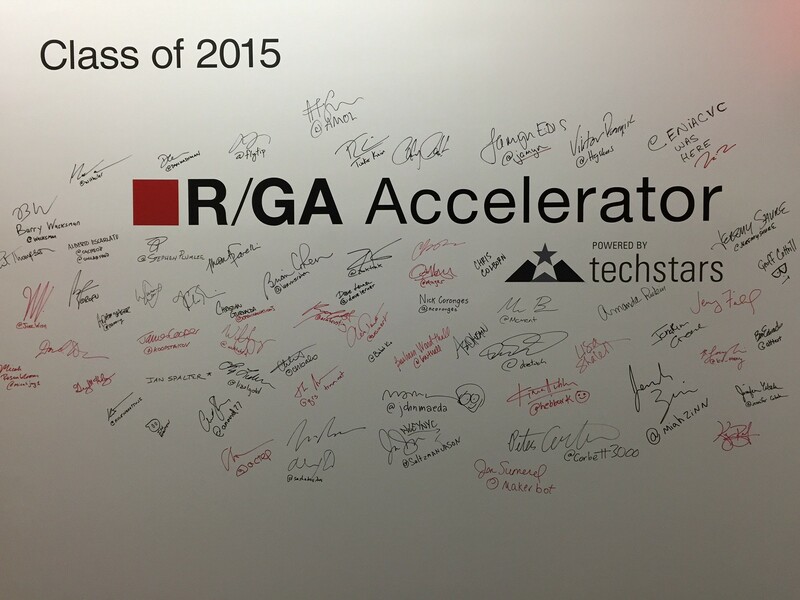 Friends had asked me what I was going to be doing at Techstars when I took the job as an associate with the R/GA Accelerator a few weeks before. Some had even asked me why I was doing it. My answers to these questions began to feel stock, over rehearsed by routine answering. But this question forced me to pause, to look to the next four months, and the ones before, and at myself. Considering the question at that moment and reflecting on it over the next few weeks helped me focus my approach to the job. Instead of allowing the time to become a series of moments and interactions, I became intentional about the projects I took on, mindful of the relationships I developed, and aware of what information I learned. It also reminded me how powerful a good question can be. Thanks to an early career in journalism, I know the power of a good question. At a minimum a question can unlock information that would not have been otherwise volunteered. At best, a great question can force the questioned to discover new knowledge or ideas themselves. That’s why I’ve become something of a collector of questions. Really good questions. Questions to ask someone you just met, someone you’re trying to get a job with, or a date with, or investment from, someone you want to learn from or inspire. When I joined Techstars I was on the hunt for good questions. My answer to the why question was simple. I wanted to learn how to build a company, how to turn an idea into a business. Helping incredible, high potential startups and founders, handpicked to participate in one of the world’s best accelerator programs in an emerging industry like IoT, seemed like the perfect place to learn. Part of the what I hoped to gain was a toolkit, a list of steps and processes that lead to success and prevent unnecessary failure. Something to pass along to entrepreneurs I work with in the future, or even for myself when I’m ready to start something of my own. The experience itself was incredible—I was inspired everyday by the visions of 10 companies out to change the world, and I was humbled by their patient commitment to success and progress. But of course, every startup, like an individual, is unique. Decisions are connected to conditions, to people and skill sets involved. There is no one way to succeed or to scale or to build traction. In the first few weeks of every Techstars program, founders are introduced to mentors — serial entrepreneurs, industry experts, and legendary investors. If there was anyone who would give that prescriptive, this-is-how-you-succeed style advice, it would be them. These people had done it, more than once, and knew the traits that made some startups succeed and others fail. To my delight, instead of delivering advice, the mentors began each session by asking questions, really good questions. The kind of questions I look for, questions that made the founders sit back and think about what they were doing, where they wanted to go, and how they could make it happen. It turned out these questions unlocked the insights I had hoped to uncover. Reflecting on the last few months, I realized the questions themselves make up the toolkit. In the Techstars’ spirit of #givefirst, I want to share 10 of the best questions I collected. Whether you have an idea you’re considering or are deep in the building process, asking yourself these questions can help you find your focus and make those initial key decisions. It may seem obvious, but answering this question requires you to think about what service or product you are trying to deliver. You also must determine the type of user you’re looking for and what value they might derive. Knowing the answer to this question will help you decide how to market, what kind of investors to choose, and who to hire. 2. What are the current pain points in the market? You can’t answer this if you don’t know the market and your problem inside and out. Who are your competitors and why are they failing? Is there a problem with their model, the technology, the user journey, or regulation?Answer this question and then figure out which of these problems your solution will tackle. Is this just an idea or is this something that needs to be built now? Knowing why and how and being able to communicate that makes your pitch and vision so much stronger. 4. What do you need to be done in the next 18 months? Do you know where you’re going and if you do, is your business organized to be aligned to that goal? Make sure your metrics, roles and expectations are all structured around that goal. Having a clear vision and being honest about it will help you get there. 5. Who are your customers? It’s surprising how few companies can identify and articulately describe their customers. Knowing who your product will serve and what value it will provide them helps focus your design. Understanding how that customer lives, their daily behavior, values, and desires will help you succeed. 6. What do naysayers say? Really, this is asking if you are aware of your potential risks. Be ready to address any of these concerns before they are brought up by potential investors, hires, customers, or even the press. 7. What do you want from your data? So many companies have a data play, but few know what that play will be. Having at least a thesis of who will value that data and how they will use it will help you figure out what data you need and how it should be evaluated. 8. What part of your pitch is resonating with everyone? Being able to answer this question allows you to know where the big opportunity is, and helps you find the best and most compelling way to tell your story. Often an entrepreneur can get so bogged down with telling a story, they forget to listen and observe to see what catches on. 9. How’d you get into this? A simple but powerful question with the potential to unlock knowledge and emotions often forgotten in the daily grind of building a business. Recalling that personal connection—the passion that drove you from the beginning—is important to keep central in your mind. 10. What is your long tail dream? As important as knowing where you want to go in the short term is having a vision of what your business could be years out. Is what you’re doing today setting you up for the impact you hope to make in the future, the new category you hope to create, or the brand you want to build? After you’ve answered these questions, the implementation process begins. I’ll save that for another post. Question asker and storyteller. Founder of ReadMilk.co.